Ninja Sword. 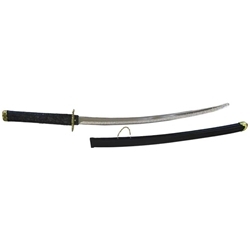 A deluxe replica of a Ninja sword. Long plastic blade and scabbard.